Our original plan was to visit Masasa Beach in Tingloy, Maricaban Island in Batangas along with love ones. But with no letup from the southwest monsoon rains – not to mention the rough seas caused by the habagat winds – it was obvious that a change in plans was in order. Nina’s uncle had been wanting to visit the coastal town of Real, Quezon again for a taste of its seafood. Fortunately, the town wasn’t affected by the habagat (southwest monsoon) at all. We drove all morning to Real and got there in time for lunch at their famous seafood market. After lunch it was off to some of the waterfalls in town. 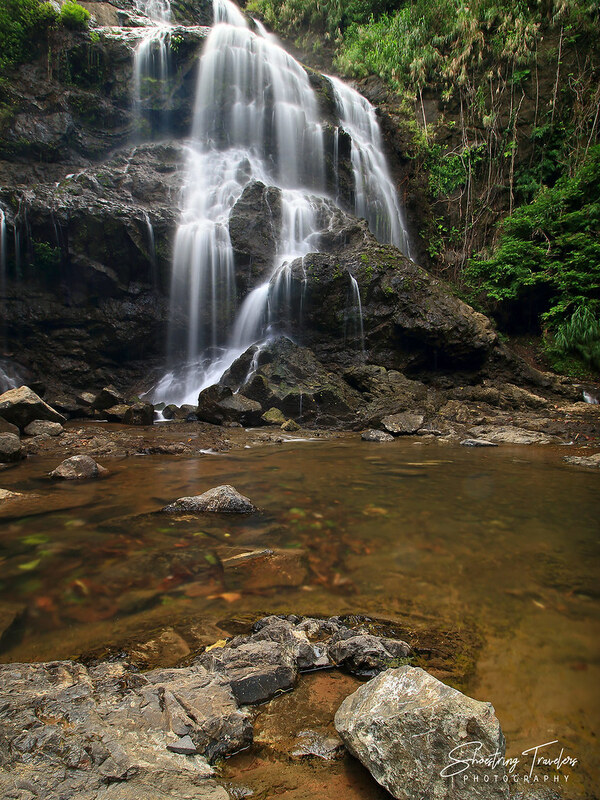 Real has some 10 known waterfalls but locals insist that there are more hidden in the forests and hills above the coastal town. While Real has become an increasingly popular destination for surfers, its fresh seafood, river rafting at the Tignoan River and the aforementioned waterfalls further highlight the town’s tourism potential. From the seafood market we retraced our route along the road back to Siniloan, then turned left to the Real-Mauban Road and onto a parking lot across the entrance to our first waterfall: the Balagbag Falls. Getting there from the parking lot was very easy – just a 3 minute hike. The last time we were here – in October last year – the water flowed in copious amounts due to the heavy rains. It wasn’t as strong this time as the rainy season was just beginning. On the positive side, the moderate water flow allowed Leo to climb up the rocky steps to the upper catch basin and take pictures of the second tier from there. The next waterfall wasn’t too far off. Going back to the Real-Mauban Road, we drove south for just a kilometer then entered a parking area to the right of the road. Way back in 2015 during our third visit to Real, this portion of the road to Mauban looked more like a cow pasture but it was now concreted. From the parking lot it was another short and easy hike of less than 10 minutes to Nonok Falls. 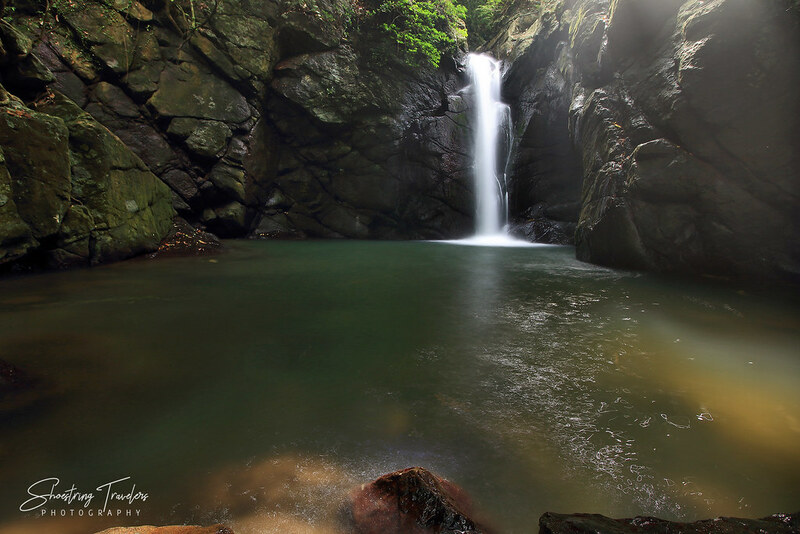 Nonok Falls, sometimes called Lunok Falls, stands at 10 meters in contrast to Balagbag’s 100 feet. Like Balagbag it’s a favorite among locals because of it easy access, especially now that the section of the main road leading to Nonok is fully paved. 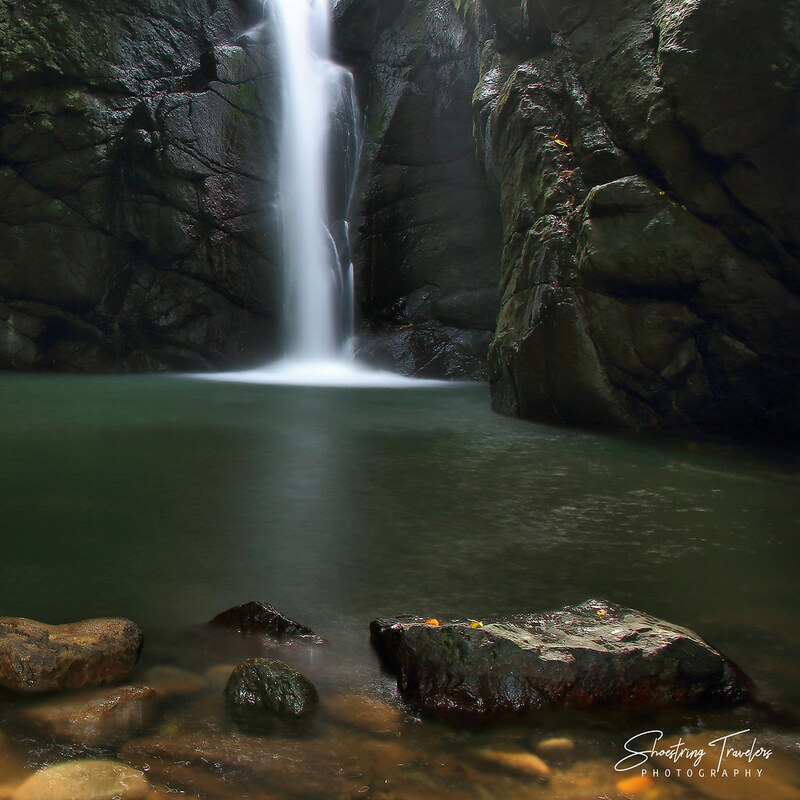 It may not be as tall and majestic as Balagbag Falls, but Nonok Falls lies in an area enveloped by a canopy of trees that provide a cool shade. It is surrounded by beautifully chiseled rock formations that add an aura of charm to the whole setting. The catch basin here is also considerably larger than Balagbag’s making it a good swimming destination. There are buses at Legarda, Manila going to Infanta that will pass by Real. Ask the driver to drop you off at Real. The ride will take you about 4-5 hours. Raymund buses used to be the only ones to ply this route but recently other bus operators have also started to serve this route. A faster way is to ride a van bound for Real-Infanta. The terminal for the vans is located just beside the one for buses. If coming from the southern provinces there are buses headed for Real at the Grand Terminal in Lucena. If going there by private vehicle be reminded that the phone signal could be poor or lost altogether once you hit the hills going to Real from Siniloan. You can get to Nonok and Balagbag Falls by trike if commuting. It’s not too far from the sea food market at Tignoan. If driving the roads going to the jump-off points of both falls are now all concreted. There are parking lots near or at the jump-off points to both falls. The treks to Nonok and Balagbag, as we mentioned above, are very easy and both within 10 minutes. 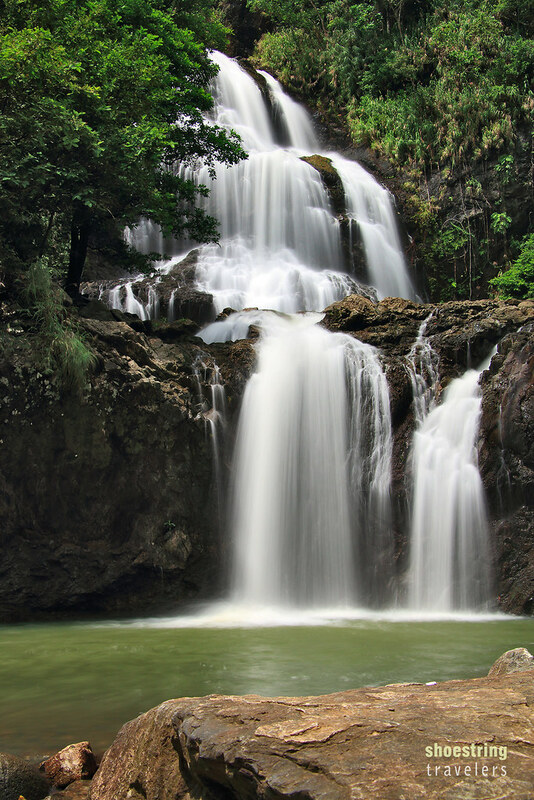 Posted in Quezon, Travel PhilippinesTagged balagbag falls, Nonok Falls, quezon, real, seafood, tignoan, waterfallsBookmark the permalink.